Glare Reduction. Ultra-Hydrophobic. Dirt Resistant. 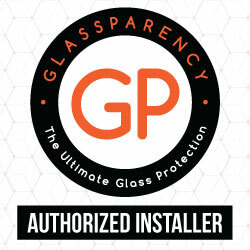 GlassParency’s patented hydrophobic glass coating is a one-time application that includes a 3-year warranty. The two-step professionally installed application creates a barrier to repel water, snow, ice, dust, oil, and dirt creating a resistant and easy to clean surface. Some of the major benefits include enhanced optical clarity, better driver vision, safety for the driver and all passengers, a reduction in day and night glare, and a more aesthetically appealing look to your vehicle glass. Enhanced vision when you need it the most. Inclement weather conditions can make driving dangerous. GlassParency’s hydro-phobic effects radically increase visibility in bad weather conditions.